In 2013, only 24.6% of Fortune 500 companies were active on Instagram. Fast-forward three years, and the adoption of Instagram among America’s biggest brands has doubled to 50%, with 250 brands represented on the social media platform. How are America’s biggest brands putting Instagram to use? I analyzed a year of Instagram content from Fortune 500 companies to find out. Here are four trends and takeaways that can help your own Instagram content stand out. 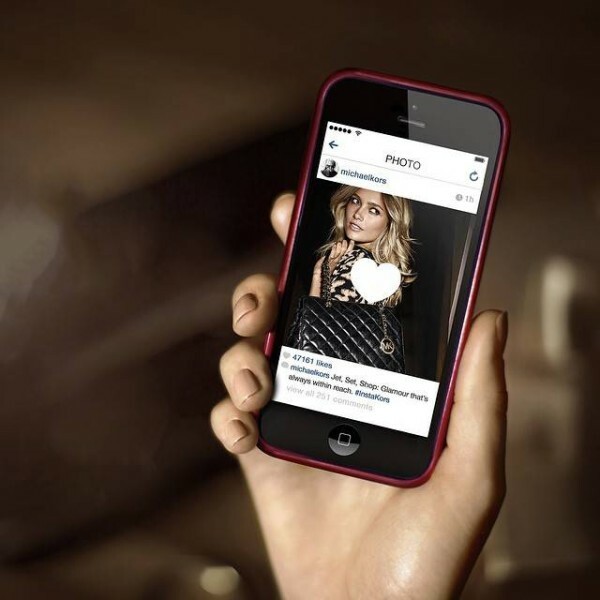 Fortune 500 companies treat social media marketing on Instagram like a 9-to-5 job. By and large, they post during the East Coast workday. In fact, 88% of photos from Fortune 500 Instagram accounts were posted between 9 a.m. and 9 p.m. U.S. Eastern time. Yet, the highest engagement with Fortune 500 Instagram posts happened between 10 p.m. and 3 a.m. Eastern time. Posts published in this window saw 6.15 to 8.78% more engagement than the average Instagram post from a Fortune 500 brand. The lowest engagement on Instagram for Fortune 500 posts occurred between 11 a.m. and 4 p.m. Eastern. Posts published within this window saw engagement drop between 4.18 and 6.58% below the average post. Posts in the 4 a.m. hour also underperformed, garnering 3.49% less engagement than average. Takeaway: Instagram feeds are crowded with brand-generated content during the traditional U.S. East Coast workday. To stand out and engage your audience, think beyond traditional business hours. The workday bias among Fortune 500 companies becomes especially clear when looking at Instagram posting trends based on days of the week. Fortune 500 companies publish far fewer posts on the weekends; only 8.5% of their Instagram posts were posted on Sunday, making it the least competitive day to post. Thursday and Friday are the most competitive days of the week to post. This preference to post during the traditional work week, however, could dampen the impact of Fortune 500 companies’ Instagram content. Brand-generated Instagram posts published on weekends saw higher engagement on average. In fact, posts published on Sundays had more engagement than any other day of the week. Takeaway: Social media is a leisure-time activity for many consumers. Marketing teams should post based on their audience’s preferred days, not the company’s. This optimization is critical now that Instagram has introduced an algorithm that favors more popular content in the users’ feeds. There is a dramatic mismatch between the most popular and most effective Instagram filters among Fortune 500 brands. A whopping 89% of Instagram posts from Fortune 500 brands used no filter (normal option). It was the 13th most-effective “filter” with an average impact score of only 0.98. However, Mayfair is by far the most effective filter for Fortune 500 companies on Instagram. Posts using this filter saw the highest engagement — 6% more interactions on average. (I calculated this by using an impact score analysis). Yet, only 0.49% of brands used this filter. According to Instagram, the Mayfair filter creates “a warm pink tone, subtle vignetting that brightens the center of the photograph, and a thin black border.” Here’s an example of an Instagram post using the Mayfair filter from American Airlines. Marketing teams need to remember and respect that their competition isn’t just other brand-generated content but content from the users’ friends and families. Taking and editing photos natively could prevent the jarring “this-is-obviously-an-ad, let-me-ignore-it” effect on Instagram. Takeaway: On Instagram, authenticity sells. Edit images within the Instagram platform — don’t post pre-made graphics. You might be surprised to find that platform authenticity and brand-building go hand in hand. Among Fortune 500 companies, Instagram posts that include hashtags or question marks saw a marginal boost in engagement over those without them. Including an exclamation mark, however, detracts from engagement by 0.22%. Inquisitiveness, it seems, is good on Instagram. But excitement? Not so much. From a hashtag perspective, previous research conducted by TrackMaven indicates that Instagram posts with 11 or more hashtags get the most interactions (“likes” and comments) on average. Why is “the more the better” for hashtags? Like Twitter, Instagram is a social-discovery platform. Users can easily surf hashtag feeds to stumble upon content around their favorite themes and topics. And because Instagram has a high character limit, Instagrammers can pile on as many hashtags as possible, increasing the discoverability of their own posts. Takeaway: Take advantage of Instagram’s high character limits. Hashtag to your heart’s content to improve your content’s searchability. Or, take your hashtag game to the next level by creating a branded hashtag, which Instagrammers can use in their own content. Michael Kors, for example, introduced the shoppable branded hashtag #InstaKors, which allows consumers to shop directly through Instagram. Instagram is a growing social media platform for big brands. As such, your company needs to consider how to best use its Instagram account to stand out from the crowd, get noticed, and encourage users to engage with your brand. As I found in my research, the key is to exploit the white space on Instagram to give your brand a competitive advantage. Get firsthand tips and expert insight at Content Marketing World Sept. 6-8. There’s still time to join thousands of your fellow marketers. Register today and use the code BLOG100 to save $100. Kara Burney is the director of content at TrackMaven, the integrated marketing analytics platform used by hundreds of the world’s best brands. Before focusing on marketing for B2B SaaS companies, Kara worked in creative development at major film production companies and literary agencies. 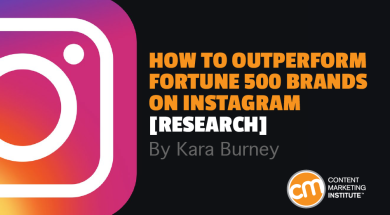 You can follow her on Twitter at @wkndatburneys and get your complete copy of her Fortune 500 Instagram Report at trackmaven.com/instagram.